The primary theme of U.S. transportation policy since the mid-20th century hasn’t been accessibility, public health, equality, or even efficiency. Primarily we’ve spent billions of dollars trying fruitlessly to eliminate congestion by building more roads. Interesting to see a road building company admit what the states of Wisconsin and Texas, and even FHWA to some extent, continue to deny. Elsewhere on the Network today: Active Trans writes about a condo complex in Chicago that has filed a suit claiming Divvy bike share stations are uglier than parked cars. Denver Urbanism shares some hard data showing cyclists follow the rules better when there’s better infrastructure in place. And A View from the Cycle Path says London’s children suffer from the same problems American children do: too much chauffeuring, too little activity. What’s the basis for your blanket statement, “every 10 percent increase in road space generates a 10 percent increase in traffic within several years”? Priced managed lanes are sometimes referred to as Lexus lanes. Is that what we want? Yes. There’s really not much evidence that only the affluent use them. If the moniker were actually valid we might want to reconsider their use, but even then only if price-managed lanes actually resulted in slower trip times for those who don’t pay to use them, which also doesn’t generally seem to be the case. Rightly said. HNTB is an engineering firm (domestic.. not international) But they delve into rail and transit projects, and basically whatever projects the public demands.. (in the Bay Area I’ve seen them involved with… BART, MUNI, Caltrain, VTA… oh and in a different light they had some big architecture projects including the future SFO control tower and 49er stadium). 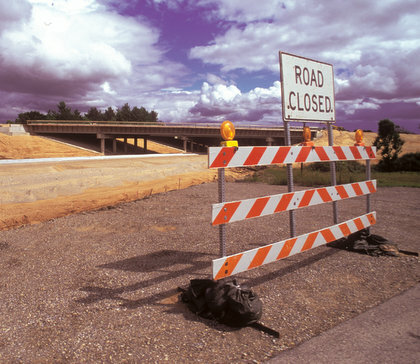 So a road builder they are not… a highway designer yes, but not exclusively. As designers, working with planners and the public it makes sense to take this path. Instead of pushing for new roadways, how about use what we have more efficiently? Take for example what congestion pricing has done for the Bay Bridge Commute. There is a real cost to driving and sure some areas will want toll roads much like toll bridges, an HOV lane that doubles as a “lexus” lane is fine by me if the prices are set to keep traffic moving at a designated speed. The fact most people will argue is that HOV lanes are underutilized because there just aren’t that many people carpooling. This is a misleading and uninformed article. I’ve seen much better arguments for tolling and pricing and really do see the benefit. I think streetsblog should stick to writing articles about how congestion pricing has made positive strides in commutes (and parking! ), because this fodder simply doesn’t resonate. HOV lanes have been less successful than special-priced lands and HOT lanes (where a single-occupant vehicle can still drive by paying a toll that is set to ensure the lane is used, but stay free-flowing). After all, there are much more people able to pay some money to travel faster, than able to get someone to ride along. HNTB plays the role of construction manager for highway projects all over the county. Thanks. I’m skeptical re the statement but will look at the paper when I have time, hopefully next week. Could you send me a pdf off-line (kea at igc dot org)? I couldn’t download it from the link. Thanks.